St. Patrick’s Day will soon be upon us, and if you live in Pittsburgh like us, the annual parade (their website is taking be back to the early days of the internet) is tomorrow, March 11th. 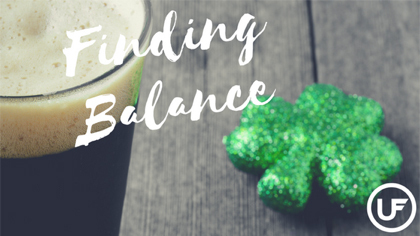 If you plan on celebrating your Irish heritage but want to dial back on the debauchery, try to find balance between your healthy habits and having a good time. We’ve compiled some tips that have been helpful for us, and recipes & drinks that we like to indulge in from time to time. First thing’s first, get a morning workout in. Union Fitness opens at 8am on the weekends. Shower in our facilities, and we’re only a 10-minute walk from downtown. Get those extra steps in, you’ll feel much better about those beers you’re going to consume later! If you can’t make it to the gym tomorrow, come to our happy hour yoga class tonight, it happens every Friday! Don’t go hungry. If there’s a plate of corned beef hash with your name on it, fill up on the cabbage first. Cabbage is low in calories and will help you feel fuller, longer. Cabbage is a member of the brassica family of veggies that includes broccoli, kale, Brussels sprouts and cauliflowers. Indulge in the classics but keep portion sizes in the back of your mind. Eat slowly and savor each bite. Hydrate, hydrate, and hydrate some more. Follow the tried and true rule of alternating alcoholic beverages with a glass of water. Now what to guzzle down all day? Believe it or not, Guinness is not nearly as bad as people think, it’s dark color and heavy body do not mean it’s higher in calories. Twelve ounces of Guinness has 125, which is comparable to many light beers. Place fresh mint leaves in a small dish. Sprinkle with 1 teaspoon of sugar. Using a muddle stick or a wooden spoon, press down on the leaves and twist. Repeat the action several times until the mint leaves release oil and smell minty. Set aside. Mix the Jell-o mix and muddled mint leaves, with the boiling water until the powder is fully dissolved. Strain mint leaves. Add the Cold water, 20 drops of green dye, or until you get the color you desire, and Jameson. Pour the cooling mixture into 28 plastic shot glasses. Refrigerate for at least 2 hours, or until fully set. Rim the glass: Pour a thin layer of salt onto a small plate. Rub a lime wedge around the top edge of your glass, then dip the glass into the salt, and twist. Fill the glass with ice and set aside. Fill a small cocktail shaker with ice. Add the tequila, lime juice, and agave. Close and shake energetically until you feel the shaker start to get cold and frost over. Strain into the rimmed glass over the ice. We can take credit for this delish take on a Bloody Mary, but we insist on giving it a try if you’re hosting a breakfast or brunch. This particular cocktail requires a little extra work and motivation, but it’s worth it! Plus, bacon is added to the mix – a little protein never hurt anyone. Remember that moderation is key. Drink smarter, stay hydrated, watch your portions and be safe out there! Change is hard. Ok, so I have a confession. I’m about to be as honest as Usher in the early 00’s right now. You know Eco Bistro right? Well on Thursday’s they have a Pittsburgh steak salad special. Although I grew up in Pittsburgh, I don’t have too many distinct Pittsburgh characteristics. I don’t speak Pittsburghese. I can barely name the three rivers. I’ve never had an Iron City beer. I’m not a Steelers fan, or Penguins, or what’s our other team again? BUT— I LOVE, and I’m talking an unhealthy-obsession-type-LOVE of French-fries on my salads. Lots of them. The more the better. I embrace this part of my Pittsburgh heritage wholeheartedly. Anyway, back to my confession. On Thursday, I broke from the Dolce Diet to indulge in one of those glorious Pittsburgh salads, with extra fries. (GASP!) The worst part? My coworkers managed to get photographic proof (see below). I was caught red handed. So yeah, I had something not so healthy. I “cheated” on my diet. Did I punish myself with endless, sweaty hours on the treadmill? Nope. The elliptical? Nope. Did I starve myself for the rest of the day to make up for it? Not a chance. Did I at least berate myself a little bit, maybe lament at my inability to stick to the plan? Never. What did I do then? I smirked at my coworkers and enjoyed my French-fries topped with lettuce. The end. You see, if you know me or have ever come to one of my classes, you hear me talk about balance a lot. And not just necessarily in yoga poses when we balance on our heads. It applies to life too, including our well thought out diet and training plans. Balance is key because we are HUMANS, and we are vastly imperfect. We can’t always stick to the perfect plan. We can’t always be perfect parents or perfect friends or perfect exercisers. We can, however, balance it all out at the end. So, if you had something unhealthy, balance it out with some extra veggies. If you lost your temper and yelled at your kids, give them some extra kisses and snuggles. If you thought negatively about yourself, look in the mirror and say something kind. 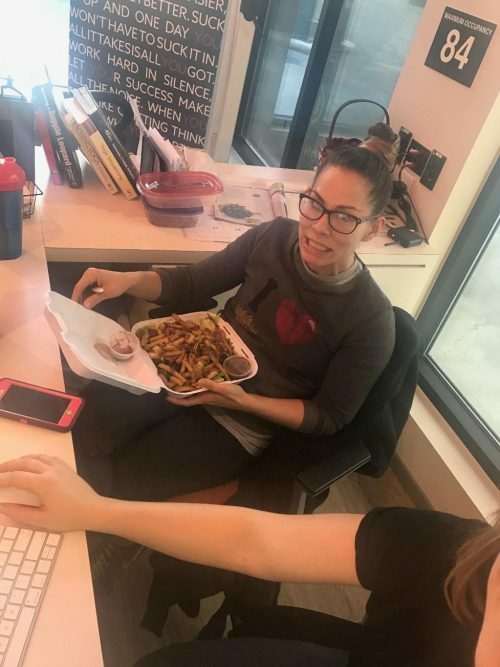 I strive for balance but when days like this Thursday (read: French Fry Indulging) roll around, it’s important to leave the guilt and judgement out of it. There is no space in the Dolce Diet, or my life, for demeaning thoughts or feelings of shame. Practice kindness. Practice balance. 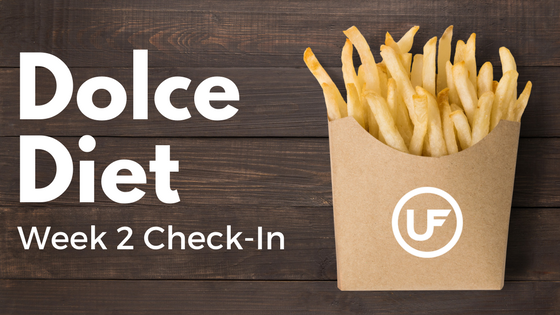 So, for now, I’m back to my regularly scheduled Dolce Diet plan as I try not to tip the scales too far into French-fry land…until next Thursday, then all bets are off!